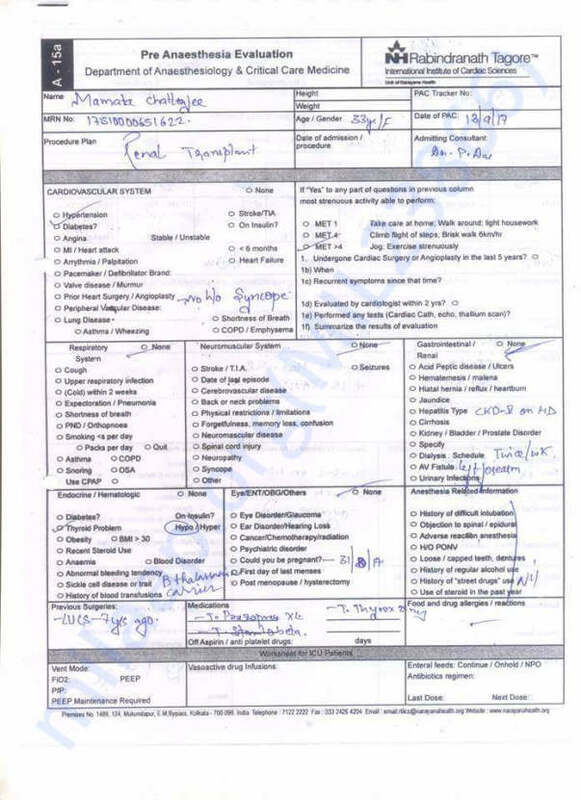 My wife MAMATA CHATTERJEE (Riya), aged 33 years is suffering from CHRONIC KIDNEY DISEASE Stage 5 for more than a year. 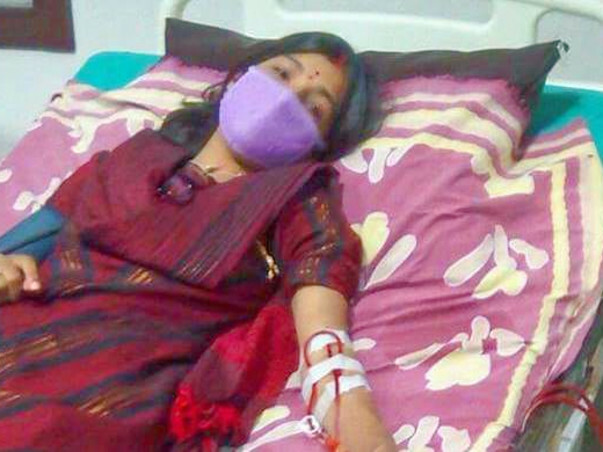 Her 38 kilogram body mass is unable to take dialysis any more, thus she needs immediate kidney transplantation. 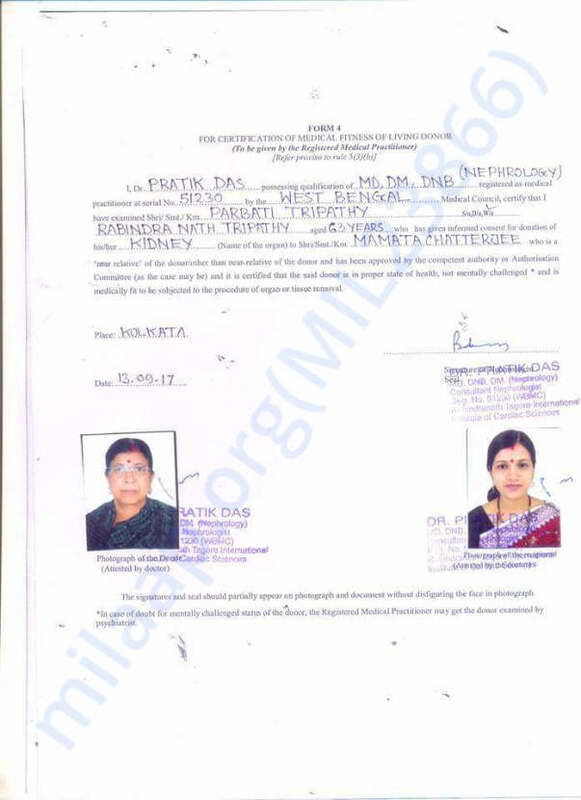 Although my mother -in-law (i.e.Mamata's MOTHER) has agreed to donate one of her kidneys yet we are unable to undergo the surgery due to LACK OF FUND. I have sold my last fortune for the treatment of my beloved wife, but that has merely covered her dialysis, testing and medicine. 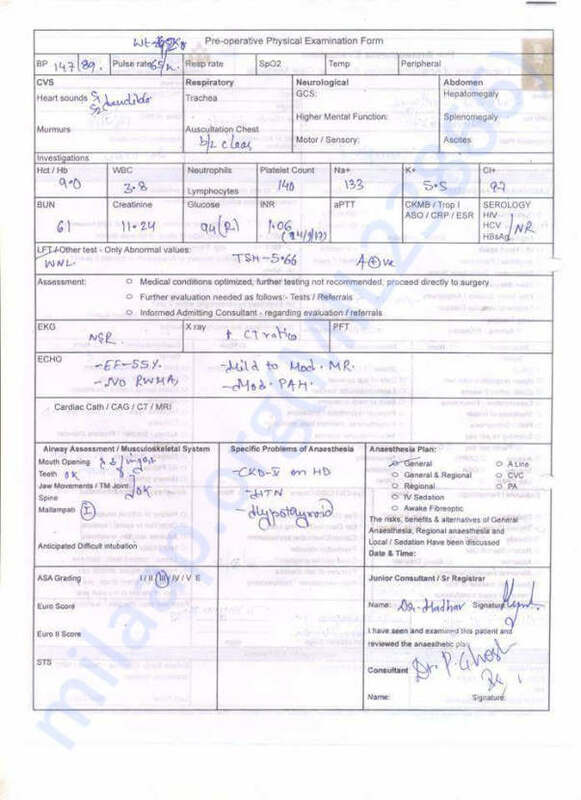 The concerned doctor Dr. Pratik Das of Rabindranath Tagore Hospital has given us an estimation of Rupees 7.25 Lakhs only for the transplantation, and after adding expense towards post surgery medicine & treatment the total expenditure may reach to approximately Rupees 15 - 18 Lakhs. In the above context, I urge your good-self to kindly help me to come out from this situation by saving the life of my beloved wife. She is the sole support of me and our 6 years old son. 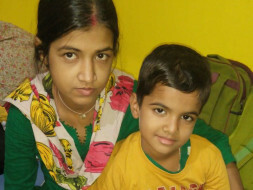 Mamata underwent the Kidney transplant successfully with her Mother as the donor and is doing well at home. She is visiting the hospital once a month for regular checks ups and taking medicines. Post operation Ria is doing well. 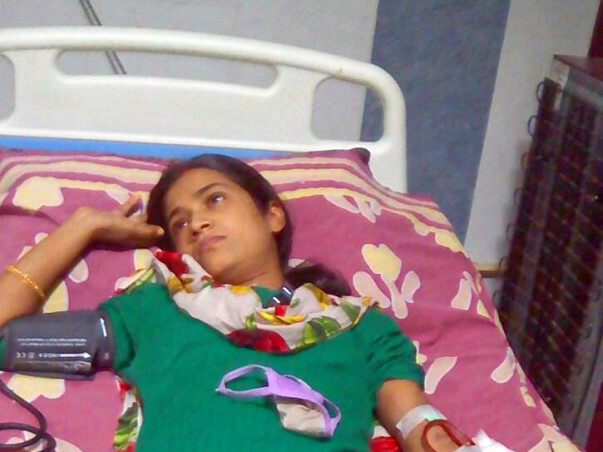 Although she is still under strict vigilance of doctors and routine check up is going on. By God's grace and your wishes brought her smile back. 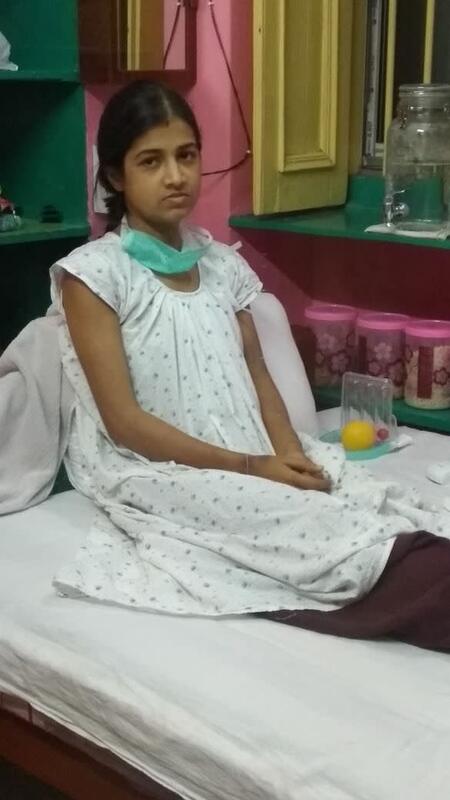 Finally Riya is back home after successfull kidney transplantation. Now she is undergoing twice a week check up and regular tests to ensure everything settles smoothly. I'm withdrawing the amount to manage her post operative treatment which includes tests, medicines and doctor's consultation etc. On behalf of Riya and our son Avismit. I would like to express our heart felt gratitude to all the donors and well wishers.